MOSCOW, Russia -- If there was one weak spot in Russian support for the Kremlin’s aims in Ukraine this year, it was the population’s strong aversion to sending in Russian troops — something Russia denies doing, despite mounting international evidence to the contrary. 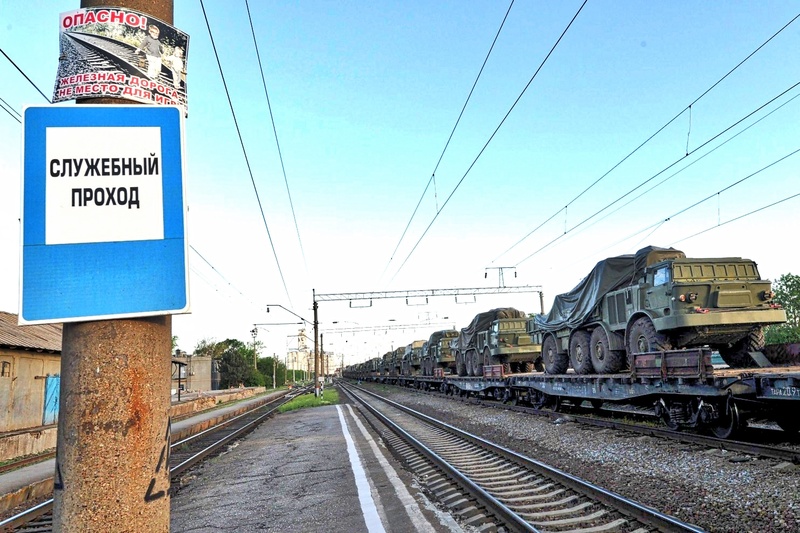 Russian military vehicles sit on a freight train on May 24 in the southern Russian town of Matveev Kurgan, near the border with Ukraine. Now, Russia can ignore that evidence — as well as any questions citizens might raise — since President Vladimir Putin signed a decree classifying certain peacetime deaths of soldiers as state secrets. Putin signed an order Thursday making the deaths of Russian troops lost during “special operations” a secret, amending a previous decree that limited such secrecy to deaths of soldiers in wartime. Some watchers can see only one plausible reason for the change: Russia is gearing up for another military push into Ukraine. But war brings about the sort of casualties that can serve as proof of Russia’s involvement in Ukraine, Felgenhauer pointed out. “If foreigners know about the losses­ of soldiers in Donbass, that’s not very good,” he said, using a term that refers to eastern Ukraine. Russia has long denied its troops are operating in Ukraine, dismissing as fabrications reports of training camps, troop build­ups and even the testimony of captured Russian soldiers claiming to be on active duty. Kremlin spokesman Dmitry Peskov told reporters Thursday that the decree is a simple upgrade of state privacy laws that “has nothing to do with Ukraine” and that Putin had no plans to green light a special operation there. 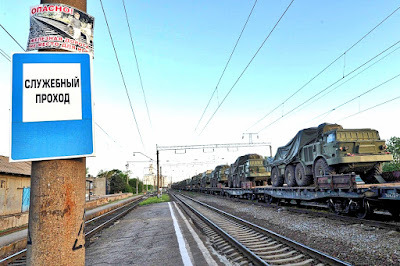 Yet dead and missing soldiers speak to the Russian population louder than NATO satellite images­ tracking Russian troop movements. And last summer, as news of troops returning from Ukraine in caskets reached the Russian people, the government narrowly avoided an internal crisis. Eventually, mothers of Russian soldiers clamoring for information on their sons captured in Ukraine were muzzled, while politicians who publicized the secret funerals and burials of Russian soldiers thought to have died in Ukraine were reportedly beaten. Russia has a history of secrecy surrounding the deaths of troops. The country spares no ceremony celebrating its military victories and prowess, but there are still many families who don’t know what happened to their war dead, in World War II or any of the military campaigns that Soviet troops fought in the decades after. Russians don’t even know how many people who died in those conflicts were civilians vs. soldiers, because the state kept such figures secret. Much as they may support Putin’s Ukraine policies, Russians don’t want to repeat the experience of suffering mass losses­ over a conflict in another country. Last year, one state-run poll found that two-thirds of Russians opposed sending troops into Ukraine, while barely more than a quarter of the population supported the idea. Nonetheless, reports continue to emerge about how Russia has been building up its troop presence near the Ukrainian border. A Bloomberg report this week cited U.S. lawmakers claiming that Russia was operating mobile crematoriums in eastern Ukraine to hide its dead — and thus hide its involvement in the conflict. And then there’s the image that the decree’s terminology — “special operations” — drums up. “Special operations” is “a new term to identify a new reality" without a legal definition, presidential Human Rights Council member Sergey Krivenko told Russian news outlet RBK on Thursday. But Russians have heard the term before during Putin’s presidency — in connection with such campaigns as the second Chechen war, the 2008 conflict in South Ossetia and, most recently, last year’s annexation of Crimea.